You are here: Home / Daily Snap / Natural formations. I feel like I’ve been off in another land in recent weeks – in my case corporate land. Even after years of working I still find it a real mystery as to why organisations make it so hard for people to work well within them. Sure, there are lots of great places to work but there are others that are mired in intrigue, political correctness and down right madness. Luckily for me I don’t have to deal with such games day in day out but can walk away in the knowledge I’ve done all I can to deliver what’s expected of me, and often a bit extra. 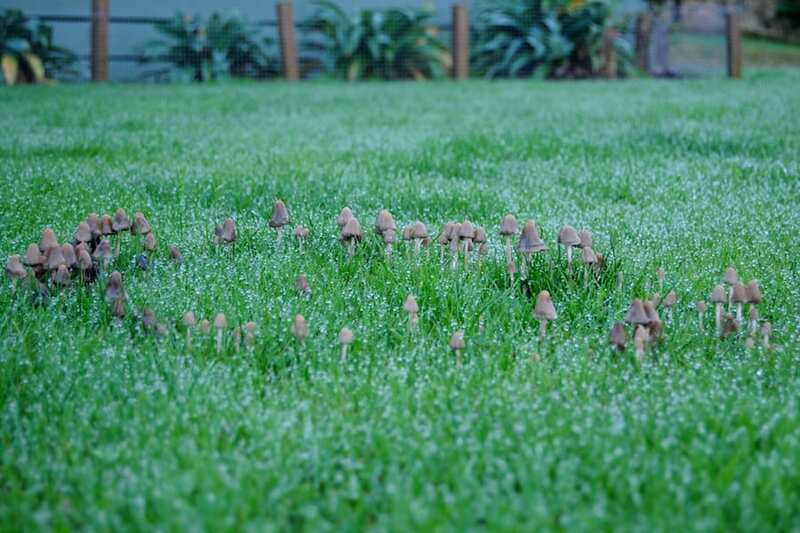 Looking at the toadstools that have sprouted in the lawn in the damp weather this week I was strangely comforted by their natural formation. Their propensity to thrive whatever the weather. Once again, there is much humans can learn from how nature works instead of more often creating the manic and chaotic ecosystems where we spend our working lives. That’s not natural. It’s the fairies! I know just what you mean about poor management. My Peter has had his wrist operation cancelled due to his raised blood pressure caused by the stress his manager has put him under by her constant sniping and bullying. (Next date probably July.) At my work there is not one teacher who is happy with our new Head with her constant pressure to get the paperwork correct and be ready to impress the Ofsted inpectors, never mind the children. I’m mightily relieved that I don’t have a class of my own now and am only part-time.